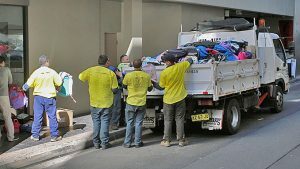 The final 70 Ku-ring-gai Refugee Welcome Packs have been delivered to Settlement Services International (SSI) on Friday August 19 to be distributed to newly arrived refugees. The Ku-ring-gai Refugee Welcome Pack Appeal was a whole of community effort to provide Welcome Packs to Syrian refugees resettling in Australia. Over 200 Welcome Packs were created comprising essential items such as toiletries, toys, sporting equipment, first aid kits, books and school kits. “I have received very encouraging feedback that the packs already distributed have been well received and useful to refugee families starting afresh here in Australia,” said Ku-ring-gai Council Mayor Cheryl Szatow. “In particular I have heard the school packs for children have been very popular, with education and integration into Australian lifestyle high on the list for these families. My heart goes out to these children who have suffered the trauma of loss and violence. I am advised that the beautiful letters our schoolchildren have written to them have been treasured, read and re-read. “It has been so inspiring to see how thoughtful and generous the Ku-ring-gai community has been throughout this effort. Thank you again to everyone who has contributed,” she said. 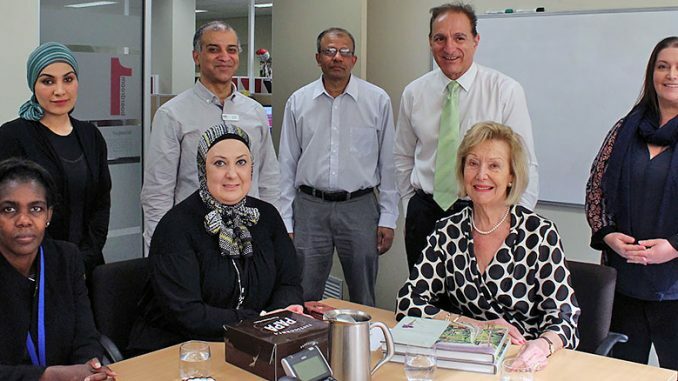 SSI Manager Humanitarian Settlement Services Yamamah Agha said the support of the Ku-ring-gai community has had a dramatic impact on the lives of newly arrived refugees, who have overcome great challenges to call Australia home. “The community plays a vital part in the settlement journey of new arrivals by helping our newest members of society to feel welcomed in their new homes,” she said. Over the next 12 months, NSW will be receiving around 6,000 additional refugees who are primarily fleeing from conflict in Syria. The Commonwealth Government is giving priority to women, children and families who have been displaced by conflict and have the least prospect of returning safely to their homes. This initiative would not have been possible without the wonderful support of the Ku-ring-gai community and partnership of the following organisations: Rotary Club of Wahroonga, Lifeline Harbour to Hawkesbury, Community Migrant Resource Centre and Settlement Services International.